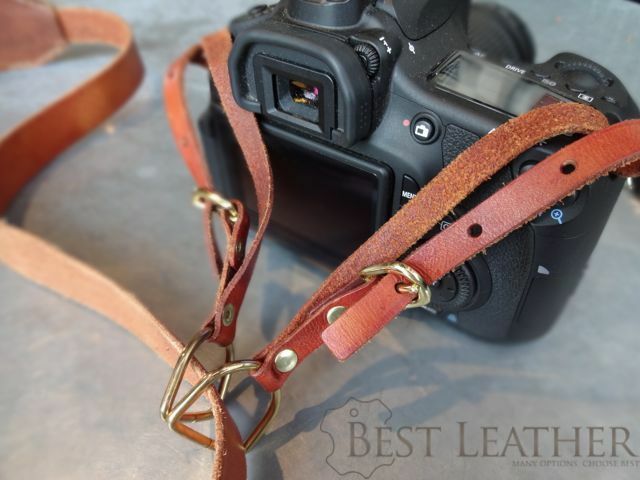 If you love leather and photography then the stock camera strap, Nikon or Canon, needs replacing with leather. 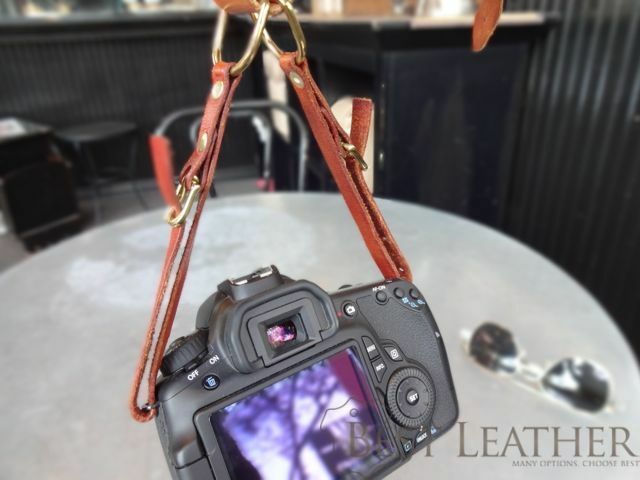 There is something intrinsically classy about a camera hanging on some nice leather. 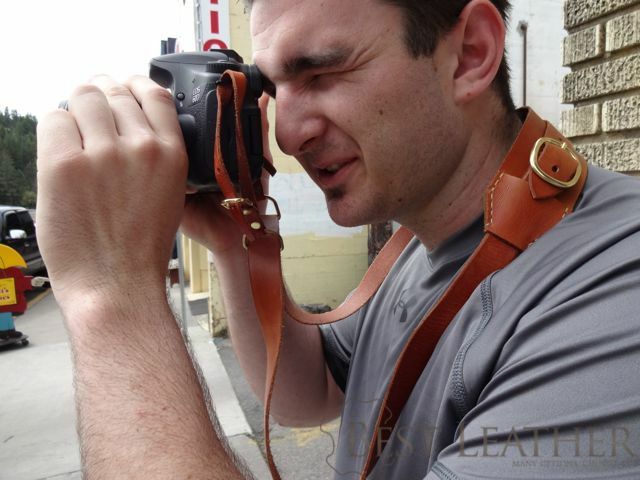 Check out the Leather Camera Sling Strap from Hidden Mountain Curriers. It is made from 4-5 oz leather that is hand dyed and oiled. You can choose between chrome or brass hardware. If you are looking for years of use I recommend the chrome hardware since chrome is a very hardy coating on the brass and will maintain very well. That being said, brass is extremely classy. I got the brass hardware. My only suggestion for improvement with the Sling Strap lies with the smaller buckles that attach the sling to the camera on both sides. There is no retainer to the buckle which allows for the chance that the buckle will accidentally come undone and drop half the camera. This happened to me several times. It’s an easy fix to switch over to buckles with retainment and that will completely solve the problem. This sling is perfect for larger DSLRs with the steel loop strap attachment points. Since it is a larger strap it would be inordinately bulky for a smaller camera but perfect for a large DSLR with the heftiest glass you have. Sliding d-rings give the sling strap excellent adjustability. When I first started using the strap this adjustability was almost too much – I’m used to the stock Canon strap. I didn’t manage it well and it would get tangled, much the same way you see people wear their leather bag with the strap, or even the bag, on backwards. After a few days it became very easy to manage the camera and the flexibility allowed me to slide the camera from a easy-carry cross draw to a ready-to-shoot position very quickly. You can see how the d-rings slide along the strap for easy adjustability. 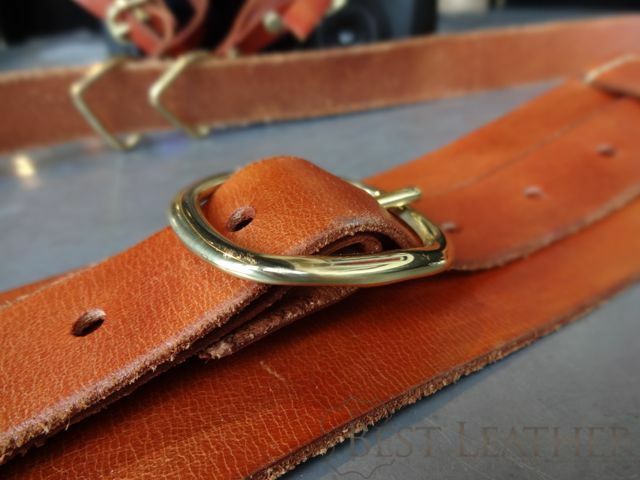 The neck pad is fully adjustable with this heavy brass buckle. 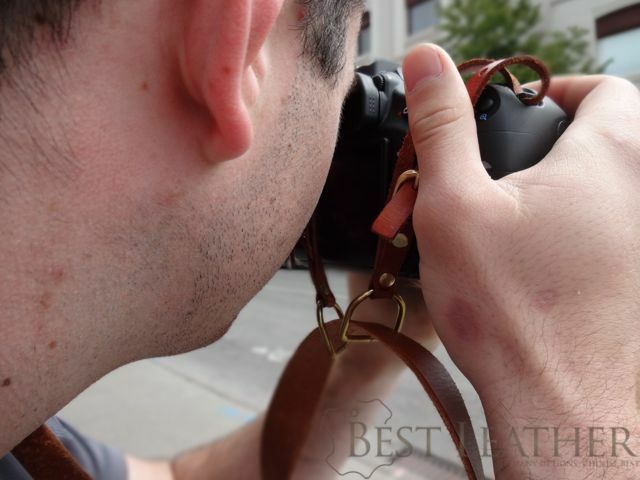 This leather camera strap will fit anyone with its scale of adjustability in the neck pad. The pad will also slide on the strap to accomodate different modes of carry. The stitching on the neck pad is very large nylon thread (very strong) and simple elegant. It is the only stitching on the strap. 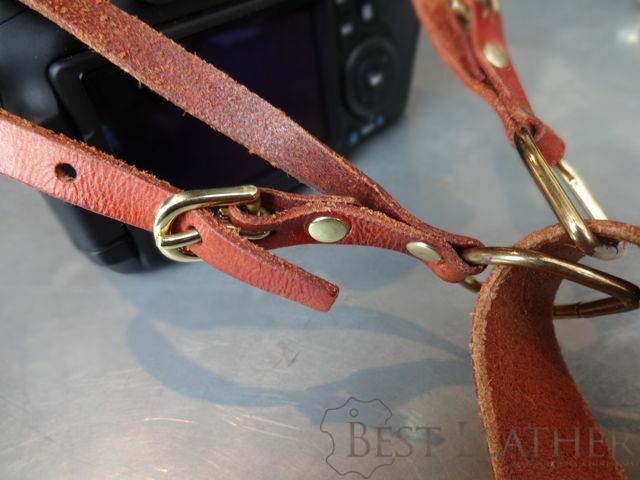 The other attachment straps are secured with small brass rivets. The underside of the leather isn’t exactly attractive. However, it is very smooth and comfortable against your skin. As it wears the leather will acquire a patina from its surroundings. Dirt and oil will color the leather slowly and smoothly with age. The usage of rivets, as opposed to stitching, for the smaller attachment straps is very fitting. 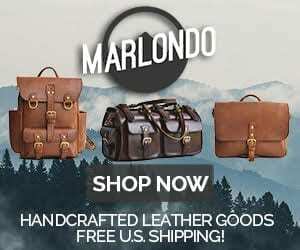 If you get a chance to test the strength of strong stitching versus the strength of a strong rivet you will find that, while both have their purposes, the rivet is much stronger for securing a smaller piece of leather to another. 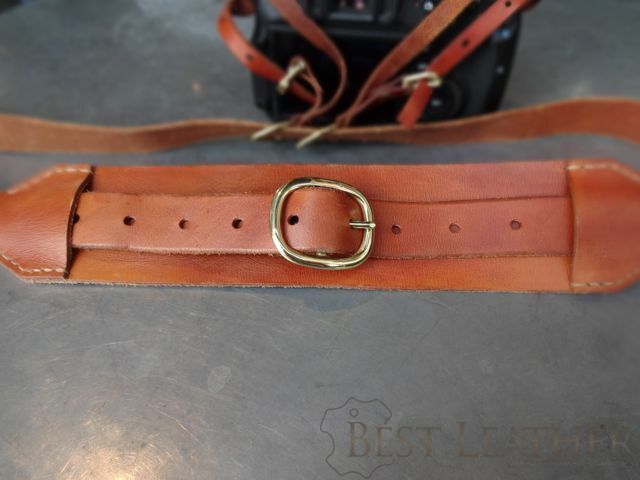 At $75 this leather strap is a functional and beautiful accessory for your camera (assuming the changes to the attachement buckles). The Hidden Mountain Curriers DSLR Sling Strap will last many decades of regular use.